Katie's background in the public sector means she is skilled at working collaboratively with a large employer and diverse sectors across British Columbia. In the labour law context, Katie provides advice to employers on a wide range of matters and represents their interests in litigation. Katie's employment law practice involves advising employers on matters including the termination of employment, secondment agreements, and human rights issues such as discrimination and duty to accommodate. Katie has appeared before arbitrators, administrative tribunals, the Labour Relations Board, the Provincial Court of British Columbia, and the B.C. Supreme Court. Labour relations: labour relations and discipline; advice to employers regarding the development and implementation of management rules; labour arbitrations; applications to the Labour Relations Board inlcluding essential services applications and applications to exclude employees from membership in bargaining units. Employment law: employment agreements; secondment agreements; termination of employees; management of employees with performance problems or medical restrictions; advice to employers regarding wrongful dismissal claims and employee status. Human rights: conduct of complaints and applications before the BC Human Rights Tribunal; providing employers with strategies and advice to ensure compliance. 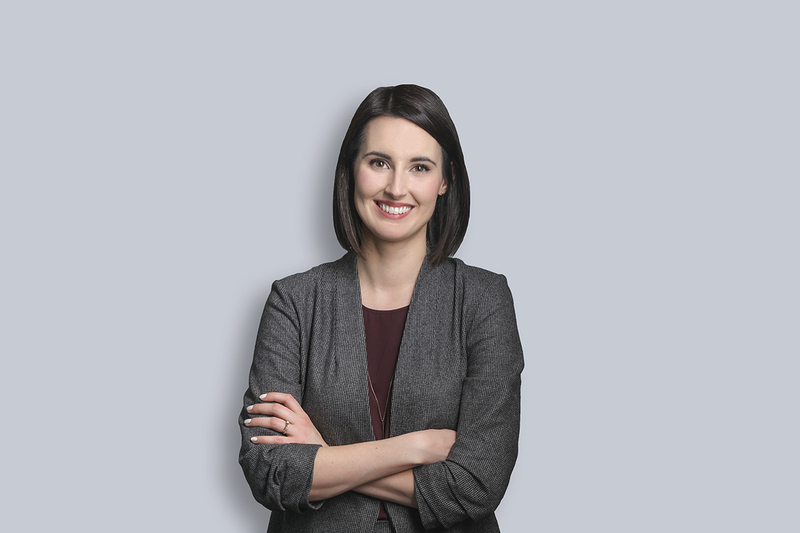 In her previous capacity as legal counsel for the provincial government, Katie provided legal advice and representation on behalf of a large human resources entity which manages both included and excluded public service employees. In this context, Katie strove to provide her clients with thoughtful and detail-oriented solutions to a variety of legal issues, and to develop productive and collegial working relationships with both clients and opposing counsel. Katie’s passion for the practice of law and the performing arts often combine for the benefit of her community. She is a repeat cast member in The Lawyer Show, an annual fundraiser where members of the Vancouver legal community perform a musical for the benefit for Carousel Theatre for Young People and Touchstone Theatre. Katie has also led a group of lawyers in Yule Duel, an annual street carolling competition, where all funds raised go to benefit May’s Place Hospice in Vancouver’s Downtown Eastside neighborhood. Member-at-large, Vancouver Bar Association – The Vancouver Bar Association is a non-profit organization which supports lawyers practicing in the City of Vancouver and across British Columbia. As an executive member of the VBA, Katie is responsible for the planning and execution of a variety of professional and social events for members of the Vancouver bar. Cast member, The Lawyer Show – Annual fundraising theatrical performance for Carousel Theatre for Young People and Touchstone Theatre. Member of the casts for Hairspray (2016), Grease (2017), and Urinetown (2019).